Hot Legs was rather weak and somewhat over-modulated during this broadcast. Indeed, in regular AM mode, I couldn’t make out the station ID at all. Fortunately, by turning on the WinRadio Excalibur‘s AM synchronous detector and selecting the less noisy lower sideband, I dug the signal out of the noise. AM sync also helped compensate for the over-modulation. You’ll hear me re-tune a couple of times in this recording. Hot Legs’ signal was a bit of a moving target. I don’t think it would have been as noticeable in standard AM mode (which is more forgiving of drift), but in AM sync, you’ll hear a tone when the frequency shifts. Update: Correction to station name. I originally posted this as “Hot Raves Radio.” Many thanks to Andy Yoder for the correction! This entry was posted in Music, News, Pirate Radio, Recordings and tagged Hot Legs, Hot Legs Radio, Pirate Radio, Pirate Radio Recordings, Shortwave Pirates, Shortwave Radio on May 29, 2014 by Thomas. This year, at the Dayton Hamvention, I spent more money than I ever have. Though the Hamvention is a showcase of innovations and flea market treasures, I typically walk away with a few connectors, cables, or maybe some handy accessories; I rarely spend more than $100, though I budget much more. But this year was an exception. I walked away with a few bigger-ticket items I found irresistible. Buyer’s remorse? Nope. SWLing Post reader, Mike, asked what I purchased, so instead of sending him an email with the tally, I thought I’d post my finds here. I already have an SX-24, but this one is cosmetically superb for its age. The seller told me that she “lights up” but has no audio; it was an estate sale item. I assume that it has a bad capacitor or two (or more). No doubt, it can be fixed and will fill my radio room with warm audio in due time. At least, that’s the theory! 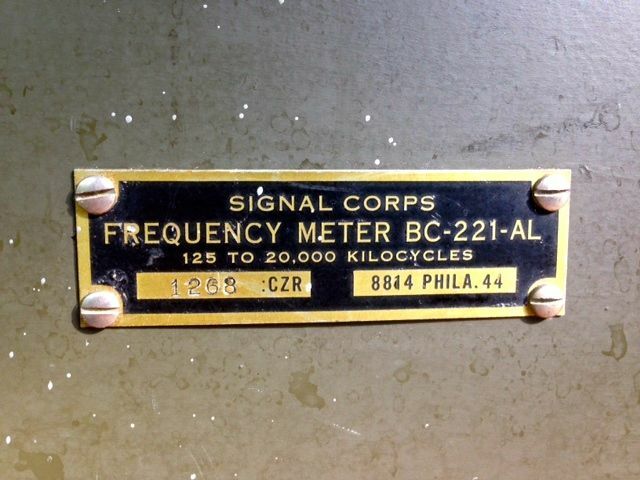 This is a working BC-221-AL signal generator that will more than pay for itself each time I align my BC-348-Q (or any of my boat anchors, for that matter). 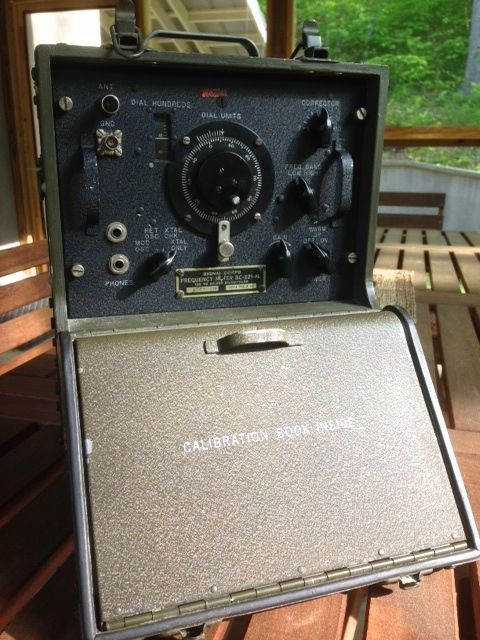 It, too, was in excellent shape and I couldn’t pass it up at $30.00 (great price as the seller was ready to part with it on the final day of the Hamvention). I love the fact that its reference book and log, with schematic, are fully in tact. 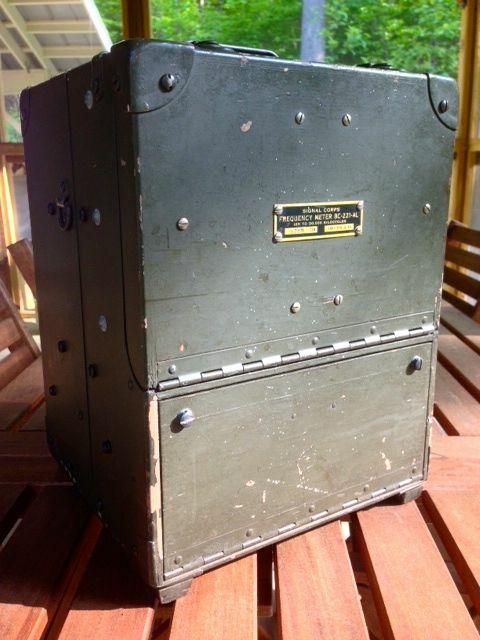 Bonus: it has that great vintage military electronics smell. 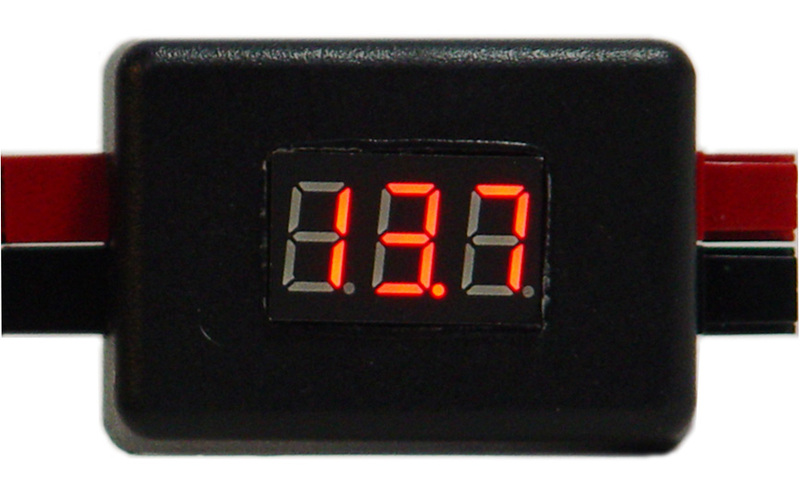 I picked up this simple in-line volt meter at Universal Radio for $20. The photo above is enlarged: the actual unit is very small (2.75 x 1.5 x 1 inches). Since my whole DC system is based on Anderson Powerpole connectors, this simple meter will help keep tabs on voltage. 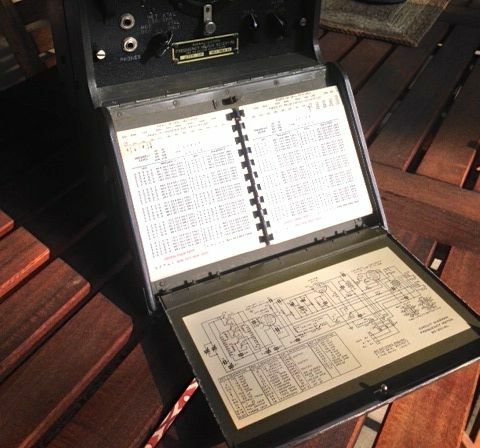 I think Universal sold out of these at the Hamvention, but since they build them in house, you can order online. 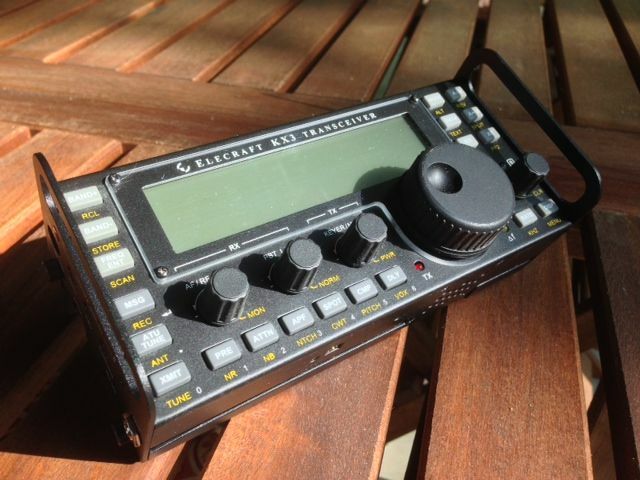 I like traveling with my Elecraft KX3, but I worry about the faceplate being damaged in transit. In the past, I’ve used dense foam to protect the front of the radio, but it’s an imperfect solution. This year, Gems Products was selling their Side KX panels at Elecraft‘s booth in the North Hall. The Side KX handles protrude a good 1/8″ beyond the height of the KX3’s knobs, thus protecting the rig even if turned upside down. I also purchased the clear Lexan cover which fits perfectly on the radio. Now when I travel, I can throw the KX3 in my backpack and not worry about the face being damaged. At a Hamvention discounted price of $60 with tax, it was no minor purchase, but the investment to protect a $1,200 portable radio was well worth it. I must say, the fit is excellent and installation took perhaps 5 minutes. This Sony was a late Saturday flea market purchase. 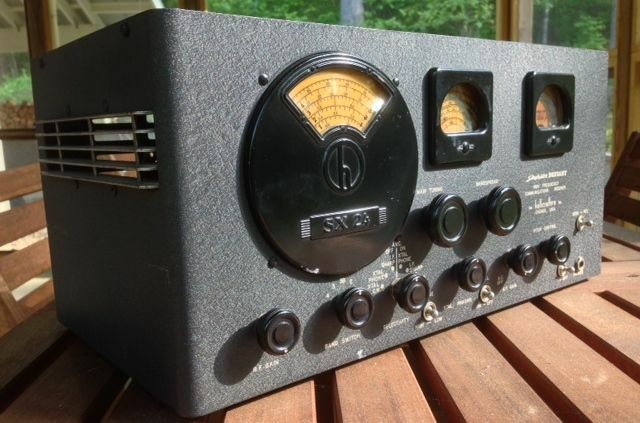 The vendor–who attends annually and is well known for his gorgeous display of antique tube radios–had this solid-state Sony sitting at the back corner of the booth. It quickly attracted my attention and that of my buddy (and radio enabler) Mike (K8RAT). Originally priced at $65.00, the vendor was kind enough to let me talk him down (“beg” is more like it, right Mike?) to the $40.00 cash I had left in my pocket. Once we got it back to our lodging we confirmed what we had suspected: this Sony has incredible audio fidelity and great sensitivity. No big surprise here: in the 1970’s, Sony was a brand well-known for superb audio fidelity. This Sony will need a little work–the pots and band switch need a thorough cleaning. Also, the tuning needle somehow came dis-lodged from the fly-wheel mechanism. All of these things can be fixed, though, and I’ll have a superb receiver that should last a few more decades. For a radio built in Japan in 1971, I’m very happy with its condition. I’m a sucker for hand-crafted gear. While perusing the flea market, I looked for an affordable vintage speaker for my BC-348-Q, but I couldn’t find one. Inside, however, I spotted this beautiful speaker at Palstar’s booth in the East Hall. I’ve owned a Palstar R30C shortwave receiver before and know how much they care about audio fidelity and overall quality. 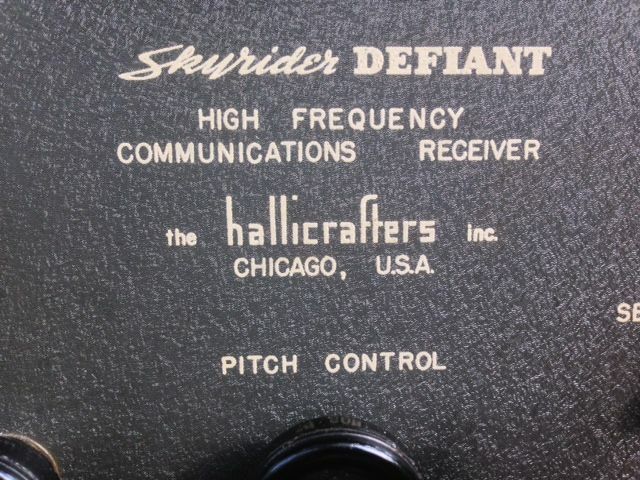 The SP30B was originally designed for the R30 series receiver. 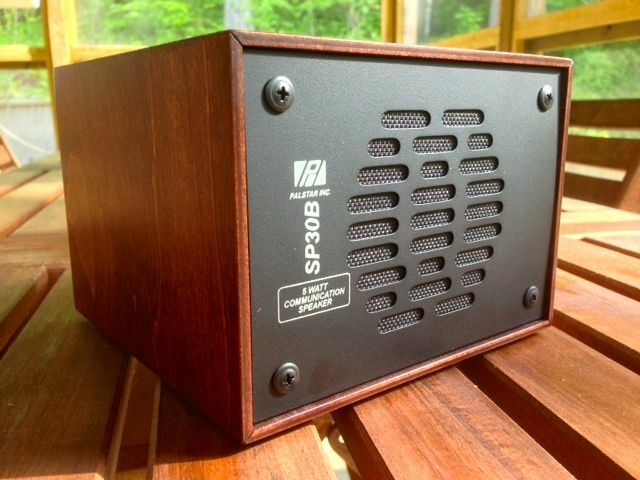 The wood speaker cabinet on the SP30B is built by a wood worker exclusively for Palstar; the finish is amazing. The SP30B retails for $99.95 at Palstar.com. I was able to snag this one for only $75 as it was a display and Palstar’s last one with cherry finish. There may have been more items, but I’m calling this a total Hamvention expenditure of $412. Did you attend the Dayton Hamvention? How much damage did it do to your wallet? This entry was posted in Boat Anchors, Ham Radio, Manufacturers, News, Radios, Shortwave Radio and tagged 2014 Dayton Hamvention, BP-272Li, dayton, Dayton Hamvention, Elecraft KX3, Hallicrafters SX-24, hamvention, Palstar SP30B Speaker, Side KX, Signal Corps BC-221-AL Signal Generator, Sony TFM-1600W, Surmen DC Digital Voltmeter on May 29, 2014 by Thomas. 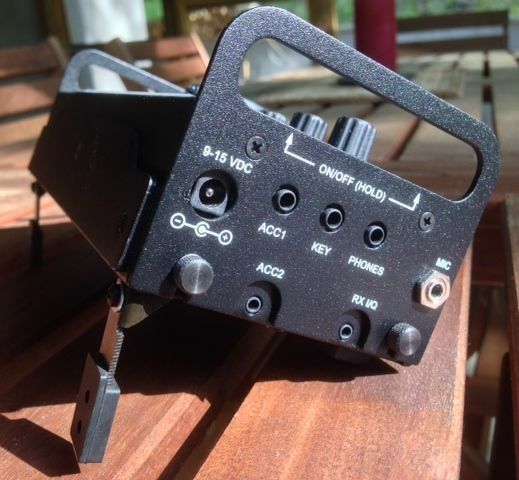 Many thanks to SWLing Post reader, John, for sharing this video review of the DX Patrol SDR receiver. The reviewer gives the DX Patrol high marks on shortwave performance, but admits that there is a significant learning curve in terms of software installation and tweaking settings for performance. At 79 € ($110 US) the DX Patrol is certainly an inexpensive wide band SDR. 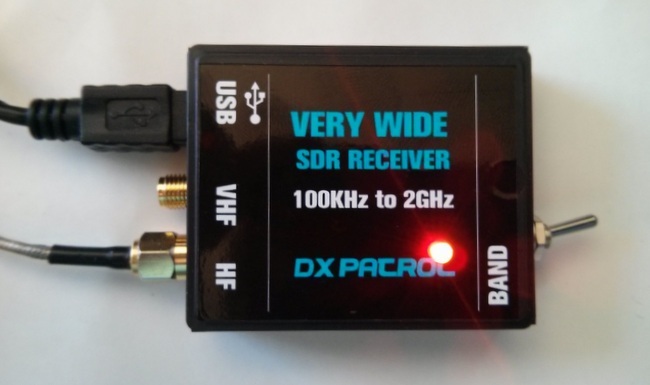 Unlike the $20 RTL-SDR dongles, the DX PAtrol requires no external up-convertor. Click here to purchase the DX Patrol online, but keep in mind that the reviewer above noted a 6 week turn-around time for shipment. 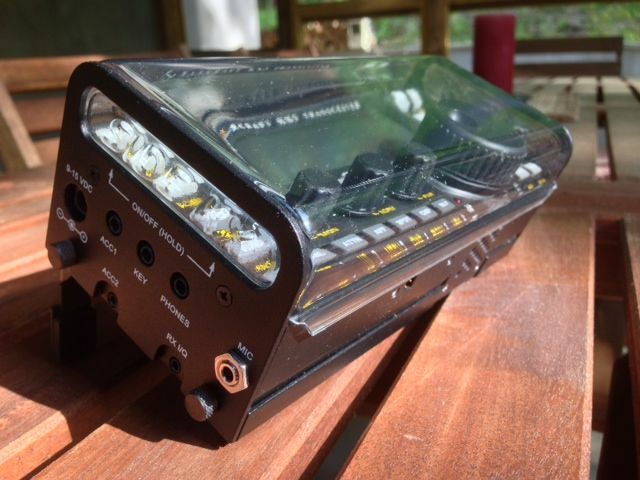 If you have experience with the DX Patrol SDR, please comment! 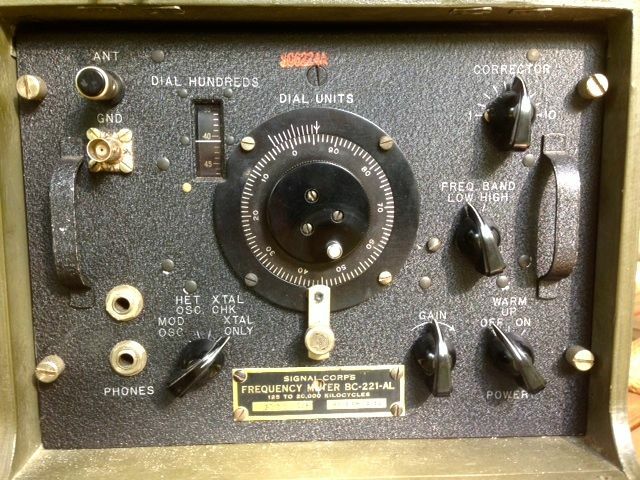 This entry was posted in Reviews, Software Defined Radio, Videos and tagged DX Patrol, DX Patrol SDR dongle, DX Patrol SDR receiver, RTL-SDR, RTL-SDR Dongle, RTLSDR on May 28, 2014 by Thomas. 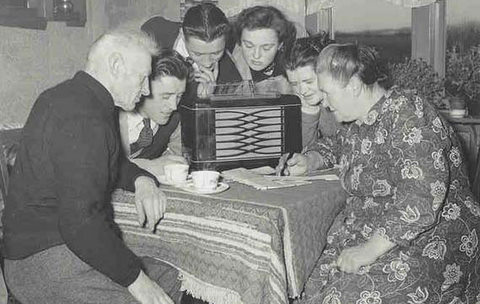 For your listening pleasure: three hours, seven minutes of the Radio Station of Macedonia (a.k.a. 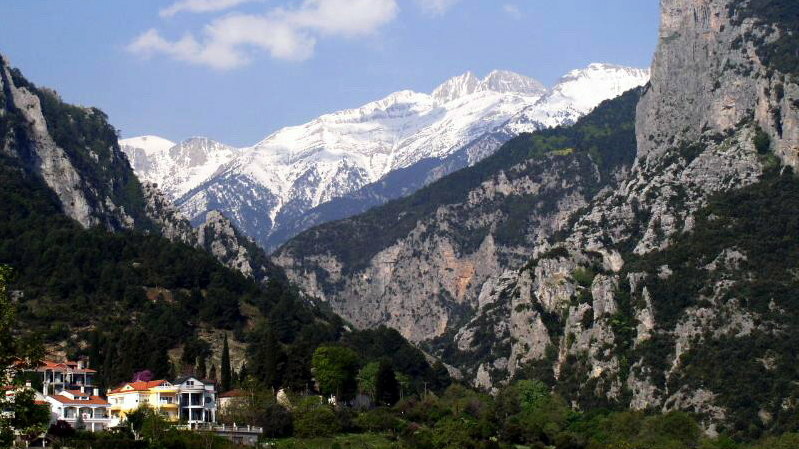 Voice of Greece/ERT Macedonia 3) recorded on May 23, 2014 starting around 19:00 UTC on 9,420 kHz. This recording was made using my WinRadio Excalibur receiver and a large horizontal delta loop antenna. This entry was posted in Broadcasters, Music, News, Podcast, Recordings, Shortwave Radio, What's On Shortwave and tagged Greece, Music, Radio Station of Macedonia, Radio Station of Macedonia ERT 3, Recordings, Voice of Greece on May 27, 2014 by Thomas. 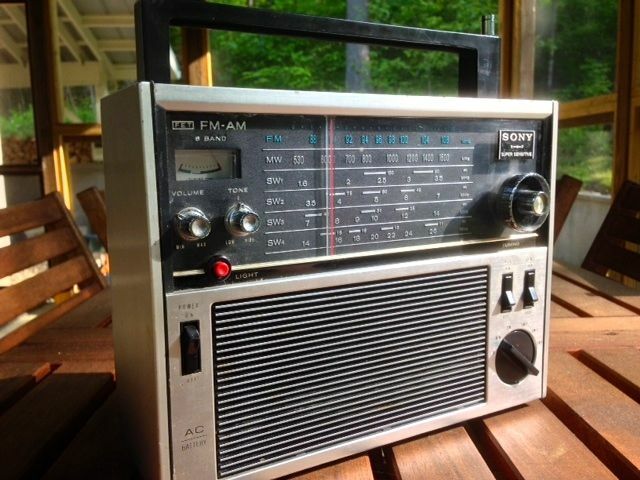 Searching for an AM/FM radio great audio? Check out Jeff’s first look at the CCRadio 2E. 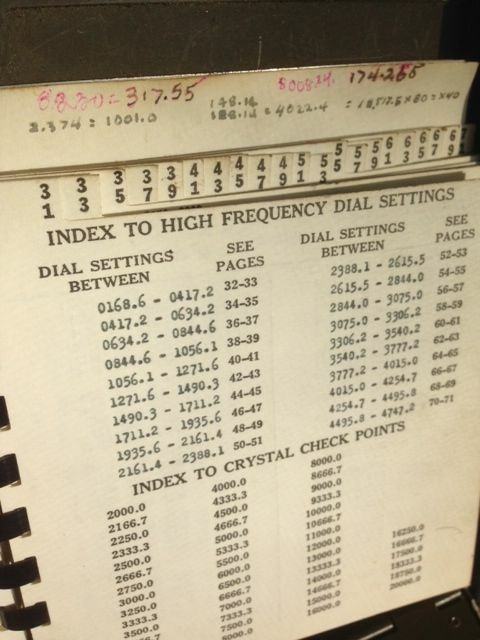 This entry was posted in AM, News, Radios and tagged AM, C. Crane, C.Crane CCRadio 2E, CCRadio 2E, FM, Herculodge, Medium Wave on May 27, 2014 by Thomas.